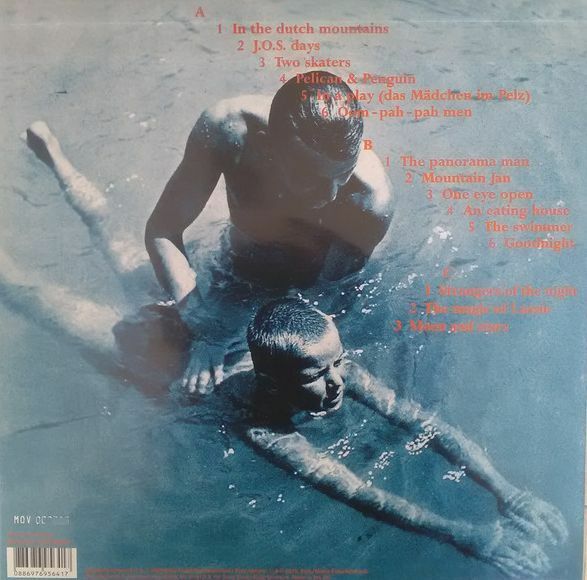 2017 remastered NUMBERED LIMITED pressed on 180gram VIRGIN VINYL- recorded live to two track in a gym just outside of Amsterdam Their 1987 LP, contains several hits but the song that brought the band to the attention of an international audience was titletrack In the Dutch Mountains. This Dutch Vinyl Master LP deserves the audiophile treatment so we present the 180 grams remastered 2LP with 3 bonustracks that werent on the original LP and a beautiful etching on the side D. presented in sealed & stickered picture sleeve. After the synthesized hijinks and tomfoolery that blighted much of Henk, the Nits -- once again a four-piece with the addition of bassist Joke Geraets -- opted for a return to simplicity with In the Dutch Mountains. The result was an album that probably did more to seduce listeners far beyond their homeland than any other, not least because it was the first to secure a release in the U.S. and the U.K. Yet although it was recorded live in the studio direct to two-track tape, this is no mere exercise in bash-it-out, one-take boogie. It's a warmly atmospheric set that contains some of the Nits' most fully realized work to date. Many of the songs are inspired by childhood memories, including the title track with its reference to the young Henk Hofstede's assumption that there must be mountains beyond the borders of his home town of Amsterdam. 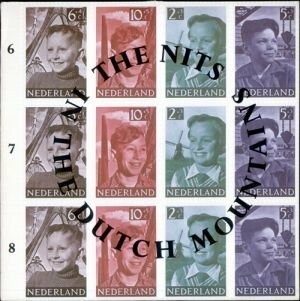 A massive hit across continental Europe, "In the Dutch Mountains" still generates a storm of applause at Nits concerts. Another live mainstay is "J.O.S. Days," an atypically rustic song about Hofstede's failure to make his local football team, featuring sampled acoustic guitar and (real) harmonica. This contrasts sharply with the dreamy "Two Skaters," at around seven minutes one of the longest songs in the Nits' repertoire and as close as they've ever gotten to an exercise in pure atmospherics. Other highlights include "The Swimmer" (yet another in a long line of film references), with frenzied accelerating piano assaults framing a delicate melody; the faintly berserk "An Eating House"; and the gorgeous lullaby "Good Night," with Hofstede's tender vocals cushioned by a remarkably convincing brass band sample. On the vinyl edition, this made for a wonderful coda to the album, but for the CD release three bonus tracks -- none of them quite in keeping with the rest -- were tacked onto the end. 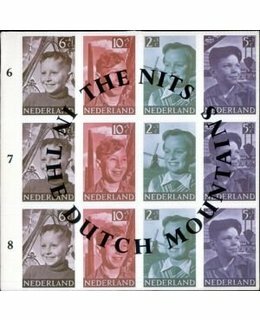 Nevertheless, In the Dutch Mountains marked the beginning of a richly creative five-year period that the Nits have yet to top.